Today, Order Fulfillment Packaging is the new storefront for ecommerce companies needing to promote their brands and make additional sales with great new ideas. Whether your packaging solution is supporting a new idea or a typical ecommerce company, more and more products than ever before are being shipping by an order fulfillment company directly to your customers door step. Granted the primary objective of packaging is to protect the product; however, much of it is simple traditional packaging which means there is an unprecedented opportunity to stand out from the crowd with custom packaging. Consider fulfillment packaging as part of your marketing budget to help promote your brand and new sales after the sale. The rule of thumb for packaging is to spend between 1 to 3 percent of your total campaign funds or marketing budget. Whether you’re shipping 10 products a month or 10,000, there is a perfect custom packaging solution for your brand and budget. Again, the outside of your packaging is your storefront. It’s an opportunity to make a unique impression with your brand to your customer; therefore, you want to make it eye catching. If you wish to stay within a tight marketing budget, the following are a few low-cost options you may want to consider for your blank boxes, poly mailers or shipping envelopes. Large Rubber Stamps: For as little as $50, you can get a big custom rubber stamp that enables you to customize your own blank boxes, mailers or shipping envelopes. Stickers or Labels: For about $200, you can try using stickers or labels that look great and add a nice pop of customization that is easy to apply. Custom Packing Tape: A minimum order of 36 roles of custom printed packaging tape is enough to tape-up over 10,000 boxes for as little as $500. It can be an awesome blend of style and function. Mailers or Shipping Envelopes: Custom Mailers or Shipping Envelopes is an awesome low minimum cost option. Start by ordering 500 fully printed mailers for about $400. 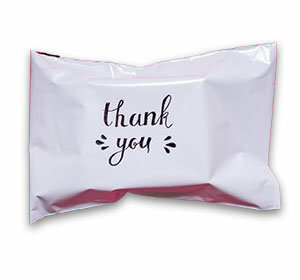 Poly Mailers: Five thousand custom printed Poly mailers will set you back approximately $1,500. It may sound a lot but it really has a low unit cost and ship through the mail well because they are partially weightless. On the higher end of the custom packaging budget range, you can start considering custom printed boxes with different finishes and design options to make your brand really stand out. You can also get into some nifty stuff inside the box by adding ambience to improve the brand experience make your customers feel special. 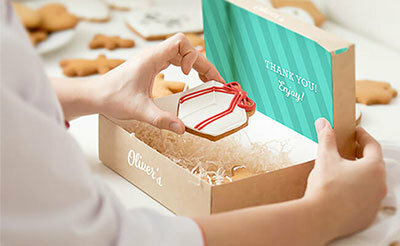 Inside your shipping box you could stamp or print inside the lid or box with a custom message from the president or even a promotional offer on their next order. Consider adding colored tissue paper, crinkle or wrapping paper to give it a nice pop or style. Customized packaging can sometimes reduce the size and weight of each package counteracting the added marketing costs with lower shipping costs. There are many options to consider only limited by your imagination, so go wild. A word of note, not all 3PL companies offer custom packaging services. Make sure your order fulfillment company can accommodate your packaging needs.